Product prices and availability are accurate as of 2019-04-20 17:42:27 UTC and are subject to change. Any price and availability information displayed on http://www.amazon.com/ at the time of purchase will apply to the purchase of this product. You can simply remove your eye makeup or you can remove it and treat your skin at the same time. 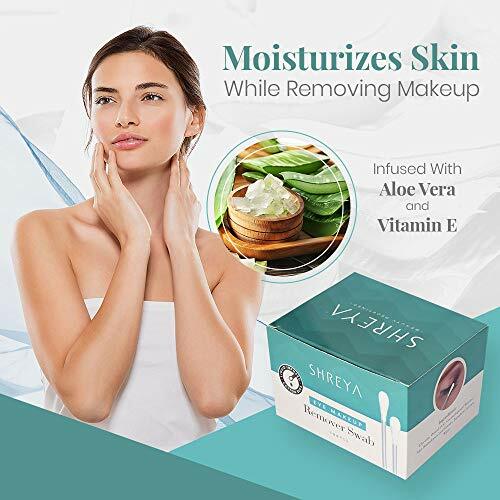 Formulated with aloe vera and vitamin E, these Shreya Eye Makeup Remover Swabs accomplish the latter. Why just remove your eye makeup when you can moisturize your skin while doing it? Aloe vera acts as a great conditioner, adding moisture to the skin and repairing dead skin cells. Meanwhile, vitamin E hydrates your skin and boasts healing effects to improve the appearance of skin damaged from free radicals. As a result, this formula protects cells and restores skin to its natural beauty. You can effectively erase mistakes without disturbing the rest of your eye makeup, or simply remove your eye makeup at the end of the night with ease. 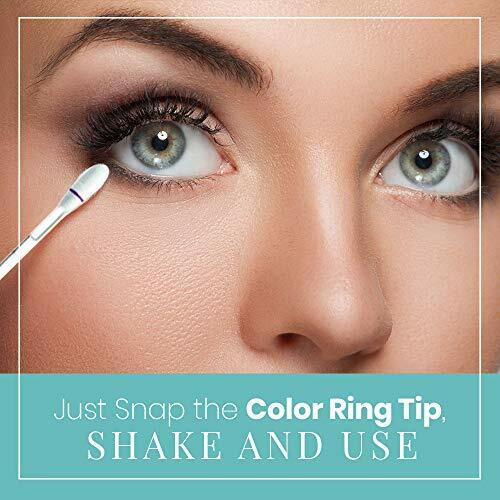 Simply hold the end with color ring up and gently snap to allow the remover to flow down and fill the opposite tip. Then, smoothly rub the saturated cotton tip over your eye makeup to gently lift it away from your skin. Each makeup remover is crafted with 100% pure cotton swabs on both ends of the plastic stick. The cotton material is soft and gentle against your skin, while the high-quality plastic stick is durable and sturdy for ease of use. 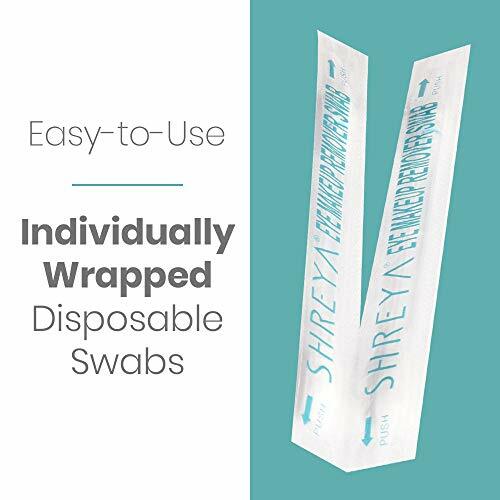 For added convenience, the Shreya Eye Makeup Remover Swabs come in a 100-count package to provide you with a sufficient supply. Each hygienic swab is individually wrapped in plastic, keeping it clean until ready for use. 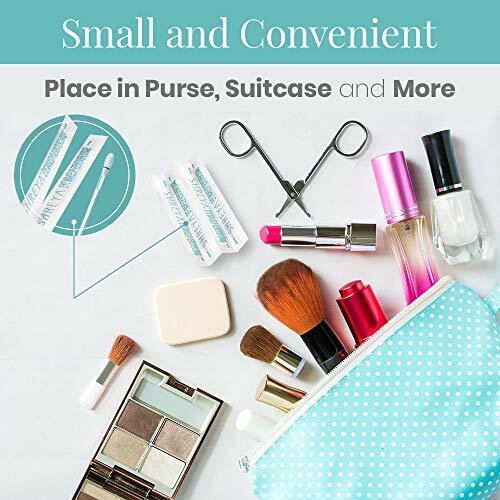 This makes it ideal for storing in your purse, suitcase or overnight bag, allowing you to easily remove and/or fix your makeup no matter where you are. DURABLE CONSTRUCTION. 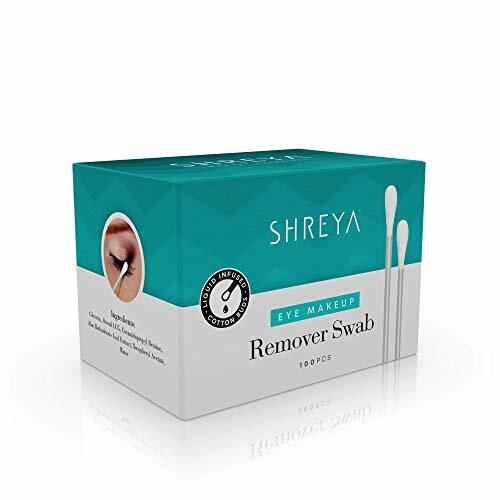 Expertly made with 100% pure cotton swabs attached on both ends of a sturdy plastic stick, these Shreya Eye Makeup Remover Swabs are the perfect way to remove eye makeup. MOISTURIZING FORMULA. Infused with aloe vera and vitamin E, these cotton swabs don't just simply remove your eye makeup. Moisturizing and conditioning the skin, these ingredients hydrate the skin and restore it to a natural, healthy glow. MAKEUP ASSISTANT. Extremely gentle against your skin and soft to the touch, these cotton swabs effortlessly erase mistakes without disturbing the rest of your eye makeup or can be used to remove your eye makeup at the end of the night. AMPLE SUPPLY. Economical and disposable, these Eye Makeup Remover Swabs come in a convenient 100-count package. Each piece is individually wrapped in plastic, perfect for traveling and storing in your purse so you can fix your makeup when your on the go. EASY TO USE. Gently snap the color ring tip and allow the remover to flow down and fill the opposite end. Once saturated, you can smoothly rub the cotton tip over your eye makeup to gently lift it away.